For thousands of years the Jewish people have longed for the restoration of Israel. This restoration is the ingathering of all the tribes of Israel both from the Northern Kingdom from the House of Joseph (also called the House of Israel in prophetic passages. This group is generally spoken of as Ephraim as well) and the House of Judah into one kingdom lead by the House of David. The northern kingdom, centered in Samaria, consisted of the 10 tribes which went into exile for rebellion against the House of David and for idolatry. While many of the people of the northern kingdom remained in rebellion, many of the loyal priesthood who resided in the territory of 10 Israel withdrew and moved to Jerusalem to unite with the House of Judah. There were also groups from the various northern tribes who joined the House of Judah in protest to Jeroboam’s rebellion and institution of idolatrous worship. 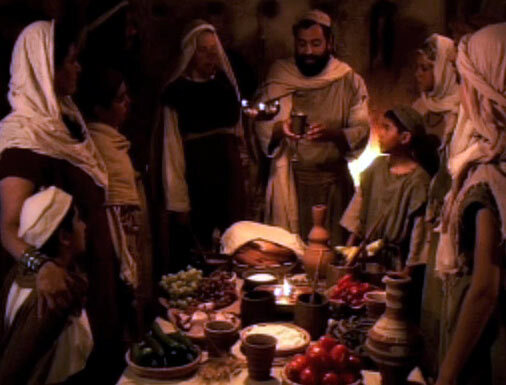 Also during the days of King Hezekiah, a righteous Jewish king, attempts were made to reach out to those of the idolatrous northern kingdom and invite them to repent and partake of the Pesach offerings. Some people of 10 Israel did respond, but most did not. The House of Judah, as proclaimed by HaShem, is the legitimate caretakers of the kingdom, having not only the right to rule but also having all the legitimate priesthood. 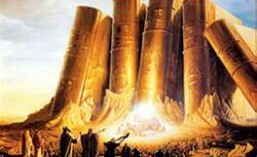 The Temple was located in Jerusalem in the territory of Benjamin, a member tribe of the House of Judah. The House of Judah therefore consists of the tribes Judah, Benjamin and Levi. 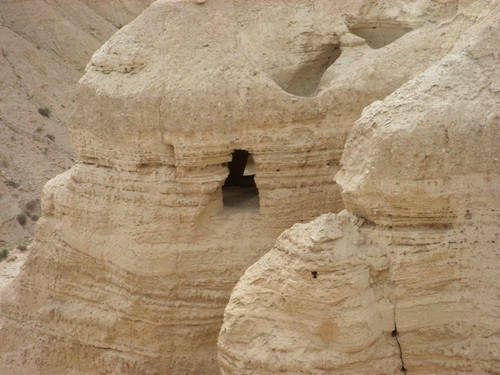 This house has been loyal to HaShem and the faith he delivered to all the tribes on Mt. Sinai. It is called Judaism for this reason. The prophesied return embodies all the promises of HaShem to the children of Israel. Return to HaShem their God, return to their land, return of the united 12 tribed Kingdom of Hashem through the Davidic throne. The restoration has come in phases or waves as was foretold. The House of Judah is the first to return to the land of Israel. The so-called Lost Ten Tribes are to return at a later time and indeed this phase has already begun within the last few years with many more to come in the future. Many people who are now considered Gentiles have been awakened to their ancient past and are now beginning the process of conversion and return. The land that is in dispute in Israel referred to as Judea and Samaria, or the occupied territories, is in reality the homeland of this ancient people. Samaria is the territory of the 10 tribes, taken over by thieves and squatters. Even during our exile, no other people’s were given that land but have taken it for themselves as was prophesied in the Tanakh in such places as Tehillim 83 (Psalm 83). The vision of Obadiah. Thus saith HaShem concerning Edom: We have heard a word from HaShem, and an ambassador is sent among the heathen: “Arise ye, and let us rise up against her in battle”: Behold, I have made thee small among the heathen; thou art greatly despised. The pride of thine heart hath deceived thee, thou that dwellest in the clefts of the rock, whose habitation is high, that saith in his heart, `Who shall bring me down to the ground?’ Though thou exalt thyself as the eagle, and though thou set thy nest among the stars, from thence will I bring thee down,” saith HaShem. If thieves came to thee, if robbers by night (how thou art cut off! ), would they not have stolen till they had enough? If the grape-gatherers came to thee, would they not leave some grapes? How the things of Esau are searched out! How his hidden things are sought out! All the men of thy confederacy have brought thee even to the border; the men that were at peace with thee have deceived thee and prevailed against thee. They that eat thy bread have laid a wound under thee; there is no understanding in him. Shall I not in that day,” saith HaShem, “even destroy the wise men out of Edom, and understanding out of the mount of Esau? And thy mighty men, O Teman, shall be dismayed, to the end that every one of the mount of Esau may be cut off by slaughter. For thy violence against thy brother Jacob, shame shall cover thee, and thou shalt be cut off for ever. In the day that thou stoodest on the other side–in the day that the strangers carried away captive his forces, and foreigners entered into his gates and cast lots upon Jerusalem” even thou wast as one of them. But thou shouldest not have looked on the day of thy brother in the day that he became a stranger; neither shouldest thou have rejoiced over the children of Judah in the day of their destruction; neither shouldest thou have spoken proudly in the day of distress. Thou shouldest not have entered into the gate of My people in the day of their calamity; yea, thou shouldest not have looked on their affliction in the day of their calamity, nor have laid hands on their substance in the day of their calamity. Neither shouldest thou have stood in the crossway to cut off those of his that did escape; neither shouldest thou have delivered up those of his that remained in the day of distress. For the day of haShem is near upon all the heathen. As thou hast done, it shall be done unto thee: thy reward shall return upon thine own head. For as ye have drunk upon My holy mountain, so shall all the heathen drink continually; yea, they shall drink, and they shall swallow down, and they shall be as though they had not been. But upon Mount Zion shall be deliverance, and there shall be holiness; and the house of Jacob shall possess their possessions. And the house of Jacob shall be a fire, and the house of Joseph a flame, and the house of Esau for stubble; and they shall kindle them and devour them. And there shall not be any remaining of the house of Esau, for HaShem hath spoken it.” And they of the south shall possess the mount of Esau, and they of the plain the Philistines. And they shall possess the fields of Ephraim and the fields of Samaria, and Benjamin shall possess Gilead. And the captives of this host of the children of Israel shall possess that of the Canaanites, even unto Zarephath; and the captives of Jerusalem who are in Sepharad shall possess the cities of the south. 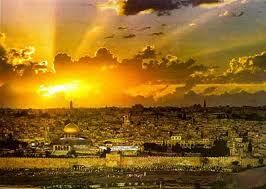 And saviors shall come up on Mount Zion to judge the mount of Esau; and the kingdom shall be HaShem’s. The Prophet Yeshayahu (Isaiah) foretells of the re-unification when Judah and the 10 tribes are re-united. This re-unification can only come about once 10 Israel has repented of their past rebellion and idolatry and has returned to the covenant. 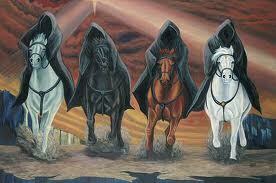 Once that occurs, according to Yeshayahu they join forces and plunder Edom, Moav, and Ammon. Moav and Ammon is today the nation of Jordan, ruled by the Sunni Islamic Hashemite clan. Edom is a reference to the mixed Edomite/Palestinian people who are now occupying the territories of Judea and Samaria, not to mention the Gaza strip. Please read all of Deuteronomy 28 to get a better understanding what befell Judah, Levi and Benjamin in the last days. The true holocaust was the TRANSATLANTIC SLAVE TRADE of ISRAELITES.